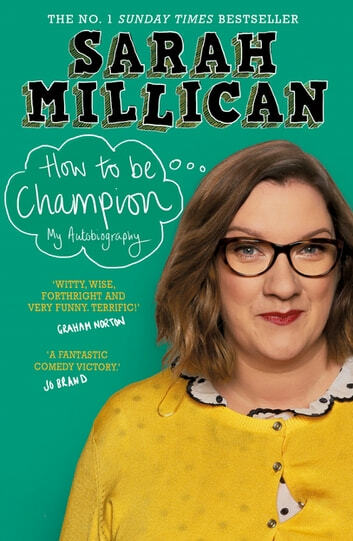 Hilarious, heartwarming and inspirational, this is the number 1 Sunday Times bestselling autobiography by comedian Sarah Millican. The funniest book of the year! Great book. Love Sarah's work and saw her on stage on her last tour, so I was keen to read this. It didn't disappoint. Sarah is self made, talented and hard working and it comes through in the book. Awesome to see those characteristics from before her comedian days. Some of the stories in here I've heard part of in her shows but that didnt' matter, there's more detail or a different twist here, and it comes across as somehow more intimate or direct compared to on stage delivery so was interesting to read. Totally normal, relatable, no celebrity garbage, and yet from a total comedy superstar. Highly Recommended, hope there's a book two. Funny from start to finish. 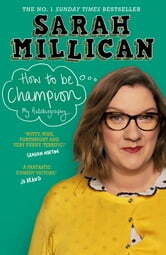 Identified so much with Sarah Millican. Funny, corageous woman. Fabulous. Great read. I actually cried laughing. Fantastically frank open and honest~what a very funny lady! Highly recommended, I didnt want it to end! I think she is a brilliant comic, insightful and says it as it is. So Imagine my disappointment in this book. Its long winded and ploddy. Not remotely funny, with a few swear words thrown in, with no relevance to the point being made. Struggled to read it to the end, but just hoped, at some point, it would improve. It didn't! !